Each new year brings new resolutions. 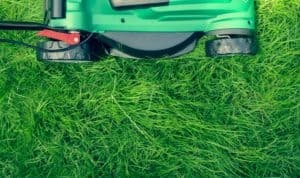 When it comes to your lawn, the ultimate New Year’s resolution is to have a healthy, green lawn, but this resolution might leave you feeling overwhelmed and wondering where to start. To help you on your way to getting the healthier, greener lawn you want, we’ve broken this end goal down into more manageable resolutions. Each of these resolutions, whether done individually or collectively, will bring your lawn one step closer to the result you desire. So pick one or a few, and follow our tips for achieving your resolution. Take steps now to help ensure you have a bright, healthy green lawn come spring. I resolve to improve the soil quality of my lawn. To have better soil, you first need to understand nutrients it’s lacking. To know this you will need to test your soil, either with a home soil test kit or by sending a soil sample off to an official testing center. We recommend the latter for the most accurate results. A routine soil test will tell you the soil pH, surface nitrogen, phosphorus and potassium levels of your soil, something we recommend doing, at minimum, every three years. We offer fertilizer options with various levels of nutrients, so you are sure to find the right percentage of each nutrient that you need to improve your soil. I resolve to buy only certified sod. All turfgrass sod is not equal. Unless you receive a blue certified tag along with your sod order, you can’t be sure what you’re getting. Uncertified sod may have good turf-like characteristics, but genetically it may vary greatly from different producers. By buying “certified” sod you’re guaranteed that the sod has been bred and selected for specific desirable turfgrass qualities. We pride ourselves on developing and producing certified turfgrass seed and have also developed several certified turfgrass sod varieties. I resolve to effectively control weeds. Before you can control weeds, you’ll need to identify the types of weeds you have. Identifying will be much easier if you learn some facts about weeds first. There are two types of weeds: “broadleaf” and “grassy” weeds. As the name implies, broadleaves have wider leaves and the veins are arranged in a net-like pattern. Grassy weeds have long, slender leaves and a strong middle vein that runs parallel to smaller veins. You’ll also need to know about the life cycle of weeds. Weeds can be classified as annuals, biennials or perennials. Annual weeds can be further divided into winter and summer annuals, and their life cycles last only one year. Biennials will complete their life cycle over two years and perennials can live for several years. Once you identify the weeds present in your lawn, you’ll need to learn about which herbicides can be used to treat them. Herbicides are either pre-emergent – applied prior to seed growth, or post-emergent – applied to the plant that is actively growing. Pre-emergent herbicides to control winter annuals should be applied late summer/early fall whereas pre-emergent herbicides to control summer annuals need to be applied prior to soil temperatures reaching 54 to 58 degrees. Post-emergent herbicides are best applied when the weed seedling is in the developing stages. It is always recommended to thoroughly read and follow the product labels before applying any pesticide. I resolve to not put more fertilizer on my lawn than is necessary. Fertilizers are great for boosting the nutrient levels of deficient soil, but when too much fertilizer is applied it can actually cause more harm than good. When it comes to the nitrogen, most turfgrass lawns will use between two and four pounds of actual nitrogen per 1,000 sq. ft. for the growing season. However, if too much nitrogen is applied, it can leave certain grasses, like tall fescue, more susceptible to diseases. A heavy application of fertilizer can also cause burns on your lawn and may harm any plants you have in the surrounding area. After you get the results back from your soil test, select the right fertilizer for your soil’s deficiencies. Then, make sure to follow application amounts and directions as listed on the fertilizer bag. Pro tip: Before applying product to your lawn, you should calibrate your fertilizer or pesticide spreader. Improper calibration is a common cause of under or over applied products, which can lead to the grass damages mentioned above. Calibration will also ensure you are not wasting the product and harming the environment. Tips on how to calibrate different types of spreaders can be found here. I resolve to use water wisely. Grasses perform best when they receive the right amount of water, which is why it’s crucial to understand when to water and how much to use. Watering amounts are based on your regional climate and type of grass, as well as other factors. On average, your lawn will require around one to 1.5 inches of water per week during the hottest time of the year. Whether you water by hand or use an irrigation system, it is important to be aware of how much you are watering. You’ll also want to water as infrequently as possible. 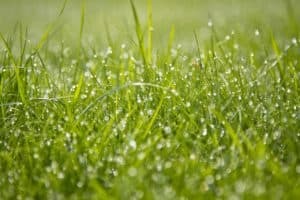 Grasses prefer a handful of heavy soaks instead of a lot of little sprinklings. This will provide a moist soil which will lead to much healthier turfgrass than if you water each day. I resolve to aerate my lawn when turfgrass is actively growing. Aeration is great for your lawn and can make all the difference in the health of your grass. By aerating, you remove plugs of soil, giving the remaining soil the ability to absorb more water, nutrients and air. It is always best to aerify when turfgrass is actively growing. A warm-season grass, such as zoysiagrass or bermudagrass, grows best during late spring through early fall and should be aerated then. Cool-season turfgrass, like tall fescue or Kentucky bluegrass, grows best when temperatures are between 55 and 75 degrees and should be aerated in early spring or fall. I resolve to mow turfgrass at the correct height. Every grass has an ideal mowing height, and proper mowing will allow the grass to flourish. Some grasses, like bermudagrass, can withstand a wide range of mowing preferences, but others require more specific mowing techniques for best performance. Our top recommendation is to mow bermudagrass lawns at a height of 1.5 to 2 inches. For tall fescue lawns, it is best to leave the mowing height at 3 inches year round. You can find more information about suggested mowing heights by browsing establishment and maintenance guides on our website or by contacting us. know what’s recommended for your grass before you start.